Korean celebrities from music, TV and movies all appeared in the most unexpected ways during my trip. While I can only speak to the places I visited, many of them included touristy areas, including the Myeongdong shopping district. For the most part, hallyu-realted stores were few and far between often tucked away in alleys and not very foreigner (non-Korean) friendly. Unofficial (or seemingly lower quality) merchandise was easier to find, often in underground shopping malls connected to subway stops. The reality is that Korean celebrities are used to sell everything and anything. I saw Red Velvet’s new music video in Baskin Robbins, K-pop style songs in commercials, and the illustrious, baffling existence of the LOTTE DUTY FREE music video (which I highly recommend you watch). “Duty Free, it’s like a dream, baby. 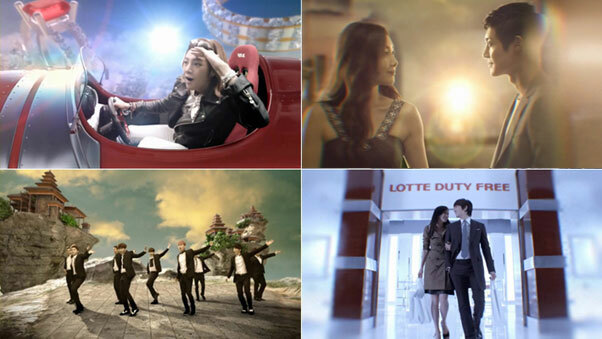 Beautiful, It’s so beautiful baby”- Lyrics from the LOTTE DUTY FREE music video, creating a fantasy world based on the luxury shopping experience. LOTTE, a Korean-Japanese conglomerate, makes no effort to hide the fact that they own a lot of stuff. From burger joints to 5-star hotels, LOTTE was everywhere. I visited the main LOTTE DUTY FREE store in Seoul based on the allure of the Star Avenue LOTTE town entrance, decorated with screens of Korean celebrities, music videos and a sparkling walkway. The pamphlet for Star Avenue promises, “An exciting time with the stars”, but apart from a couple displays, this site primarily acts as a funneling tool for the shops upstairs. Amidst the spectacle of the Korean celebrities was group of suit-adorned men ushering people into elevators. I didn’t know what it was about but I went in because I thought it was related to the Korean stars in some way. 9 floors up was the 3 floor- duty free shop (and not the kind you see in airports) selling only the highest name brands of clothing, handbags and cosmetics and it was a zoo. People were pushing and shoving their way through crowds of locals and tourists clamoring to get their hands on Armani suits, Gucci purses for 10% and perfumes. 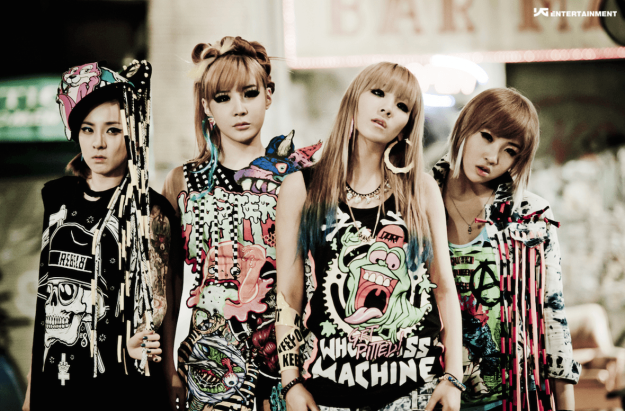 Korean media, especially K-pop music videos and K-dramas reinforce a fantasy lifestyle, all-encompassed in a particular “look”: both men and women along a spectrum between aegyo and a Western hip-hop style. Participating in the luxurious consumer culture as promoted by LOTTE (along with the rampant promotion of plastic surgery) makes eager spenders closer to idealistic perfection. The use of Korean stars in the fashion was unexpected to me as a tourist and in turn created a small void between me and the products I could not buy (clothes too small to fit into, purses too expensive to ever consider). I came back to Canada with an unofficial poster set of my bias, Hyuna and a lot of questions about my hallyu experience. Korea promotes K-pop to the world; we will see how the stars will take the man stage when the 2018 Winters Olympics take place., and yet, tourists armed with cash find fanning out almost, impossible. Even most of the major nightclubs in Seoul stick to Western dance and hip hop. 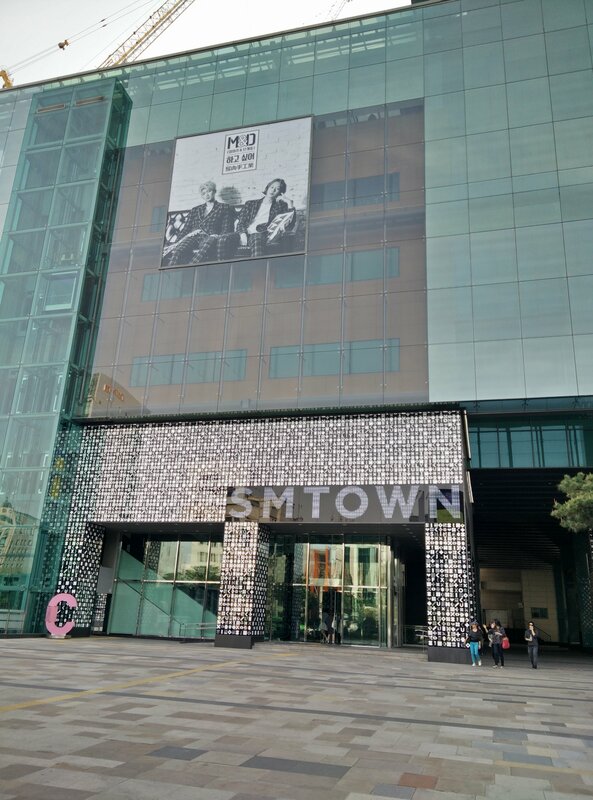 On the one hand, Korean entertainment corporations, in comparison to the West cast a wider net in how they utilize their stars (daily music shows, comedy shows, meet and greets) however, these measures always seem to lead to promoting another business or product. Most common place I saw Korean stars was in and around major shopping malls like LOTTE DUTY FREE and COEX mall. As a tourist and a fan, I saw these signs as a way to support the artists I love, but they were indeed, empty of that meaning. It is not a secret that K-pop stars are often paid pennies and under strict contracts; they are tools of their labels instead of individual artists. As a foreign fan, it becomes difficult to come to terms with this kind of business model. We want to support the stars as individuals, but so much of their exported personality and style has the potential to be crafted by the higher-ups for advertising purposes. Do we “know” Western stars any better than Korean stars? Of course, Western stars are also used to promote products, but not to the same extent as I saw in Korea. It’s not about buying the music and shows the Korean stars had a part in creating, it’s about buying into their lifestyle and their look which according to the LOTTE DUTY FREE music video, is simply a dream.